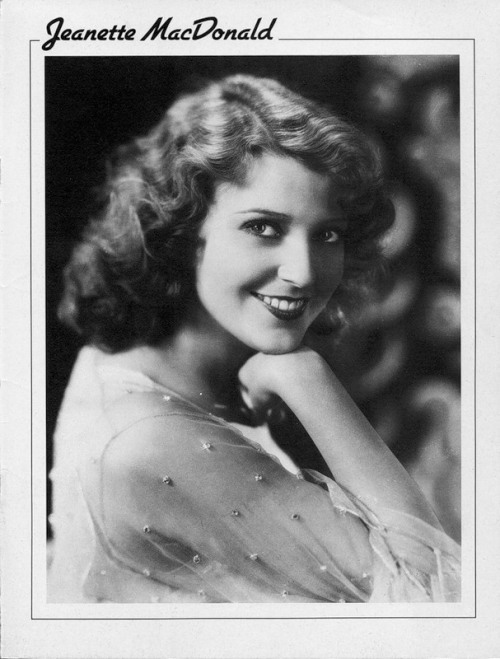 Jeanette MacDonald, American singer and actress best remembered for her musical films of the 1930s. Partnered with Maurice Chevalier (Love Me Tonight, The Merry Widow) and Nelson Eddy (Naughty Marietta, Rose-Marie, and Maytime). During the 1930s and 1940s she starred in 29 feature films, and four – nominated for Best Picture Oscars. In particular, The Love Parade, One Hour with You, Naughty Marietta and San Francisco. Besides, recorded extensively, she earned three gold records. She later appeared in opera, concerts, radio, and television. MacDonald was one of the most influential sopranos of the 20th century, introducing opera to movie-going audiences and inspiring a generation of singers. 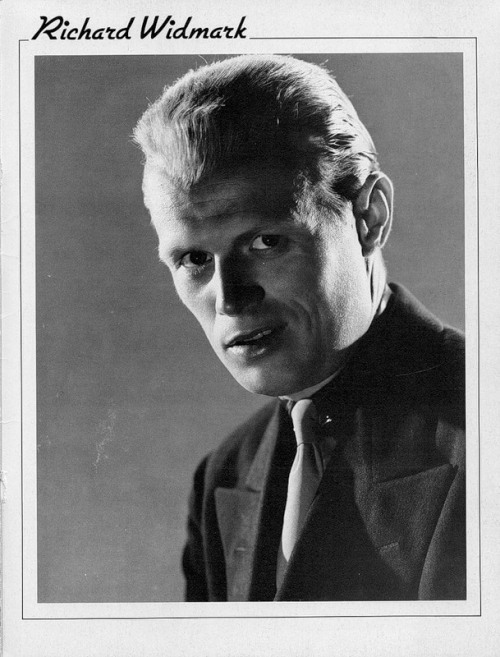 American film, stage and television actor Richard Widmark, nominated for an Academy Award for his role as the villainous Tommy Udo in his debut film, Kiss of Death. At his death, Widmark was the earliest surviving Oscar nominee in the Supporting Actor category. Also, one of only two left from the 1940s (the other having been James Whitmore). For his contribution to the motion picture industry, Widmark has a star on the Hollywood Walk of Fame at 6800 Hollywood Boulevard. In 2002, he entered the Western Performers Hall of Fame at the National Cowboy & Western Heritage Museum in Oklahoma City, Oklahoma. 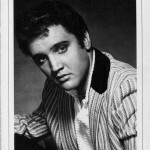 Elvis Presley, one of the most popular American singers of the 20th century. A cultural icon, widely known by the single name Elvis, often referred to as the “King of Rock and Roll” or simply “the King”. The U.S. Junior Chamber of Commerce named Presley one of its annual Ten Most Outstanding Young Men of the Nation on January 16, 1971. 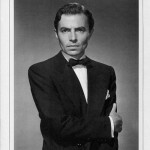 James Mason, English actor who attained stardom in both British and American films. Mason remained a powerful figure in the industry throughout his career and was nominated for three Academy Awards as well as three Golden Globes (winning once). 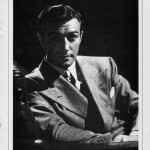 Robert Taylor (August 5, 1911 – June 8, 1969), American film and television actor. On June 8, 1969, Taylor died of lung cancer at the age of 57 and was interred in Forest Lawn Memorial Park Cemetery, in Glendale, California. For his contribution to the motion picture industry, Robert Taylor has a star on the Hollywood Walk of Fame at 1500 Vine Street. Lauren Bacall, American film and stage actress and model, known for her distinctive husky voice and sultry looks. She first emerged as leading lady in the Humphrey Bogart film To Have And Have Not (1944). 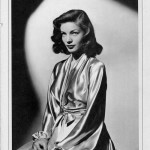 Bacall has also worked on Broadway in musicals, gaining a Tony Awards for Applause in 1970 and Woman of the Year in 1981. Her performance in the movie The Mirror Has Two Faces (1996) earned her a Golden Globe Award and an Academy Award nomination. Barbara Stanwyck, American actress, a film and television star. Known during her 60-year career as a consummate and versatile professional with a strong screen presence. Also, a favorite of directors including Cecil B. DeMille, Fritz Lang and Frank Capra. Nominated for the Academy Award four times, and won three Emmy Awards and a Golden Globe. She was the recipient of honorary lifetime awards. In particular, the Motion Picture Academy, the Film Society of Lincoln Center, the Golden Globes, the Los Angeles Film Critics Association, and the Screen Actors Guild. Has a star on the Hollywood Walk of Fame and ranked as the eleventh greatest female star of all time by the American Film Institute. Joan Bennett, American stage, film and television actress. Besides acting on the stage, Bennett appeared in more than 70 motion pictures from the era of silent movies well into the sound era. 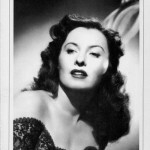 Best-remembered for her film noir femme fatale roles in director Fritz Lang’s movies. In particular, The Woman in the Window (1944) and Scarlet Street (1945). Meanwhile, in the 1960s, she achieved success for her portrayal of Elizabeth Collins Stoddard on TV’s Dark Shadows, for which she received an Emmy nomination. For her final movie role, as Madame Blanc in Suspiria (1977), she received a Saturn Award nomination. Ricardo Gonzalo, Mexican radio, television, theatre and film actor. He had a career spanning six decades (motion pictures from 1943 to 2006) and many notable roles. He won an Emmy Award in 1978 for his role in the miniseries How the West Was Won and a Lifetime Achievement Award from the Screen Actors Guild in 1993. Into his 80s, he continued to perform, often providing voices for animated films and commercials. Besides, appearing in several Spy Kids films as “Grandfather Valentin”. Rhonda Fleming, American film and television actress, acted in more than 40 films, mostly in the 1940s and 1950s. Became renowned as one of the most beautiful and glamorous actresses of her day. Nicknamed the “Queen of Technicolor” because her fair complexion and flaming red hair photographed exceptionally well in Technicolor. Patricia Neal, American actress of stage and screen. Best known for her film roles as World War II widow Helen Benson in The Day the Earth Stood Still (1951), and wealthy matron Emily Eustace Failenson in Breakfast at Tiffani’s (1961). Also, middle-aged housekeeper Alma Brown in Hud (1963), for which she won the Academy Award for Best Actress. And her TV role as Olivia Walton in the 1971 made-for-television film The Homecoming, A Christmas Story.